Looking into a kaleidoscope is a dazzling experience. The glass chips falling apart, and then when shaken, they come back together again. Only this time it is a new beautiful design. Somehow the chips always land in the right place regardless of how much you shake them. The beginning of the word kaleidoscope comes from the Ancient Greek word kalos which means beautiful. A kaleidoscope is a cylinder which works by having several mirrors that creates multiple reflections. Yes a kaleidoscope is beautiful but what does this have to do with thinking? Every time you shake a kaleidoscope it reveals something new and beautiful just like when something happens in life to shake things up. Or in thinking when you deliberately try to shake things around to gain new insights and ideas. 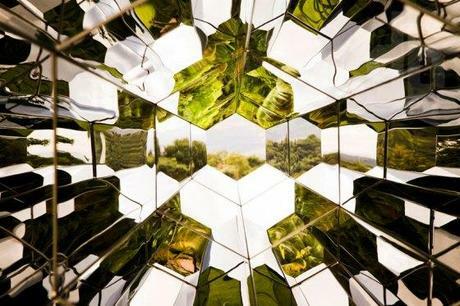 The Danish-Icelandic artist Olafur Eliasson is fascinated by telescopes and kaleidoscopes, and he creates pictures that have a surreal dream character. 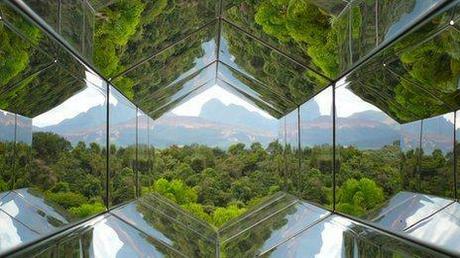 Recently he installed a Viewing Machine at a botanical garden in southern Brazil, which transforms acres of rainforest into a landscape of fractal geometries. 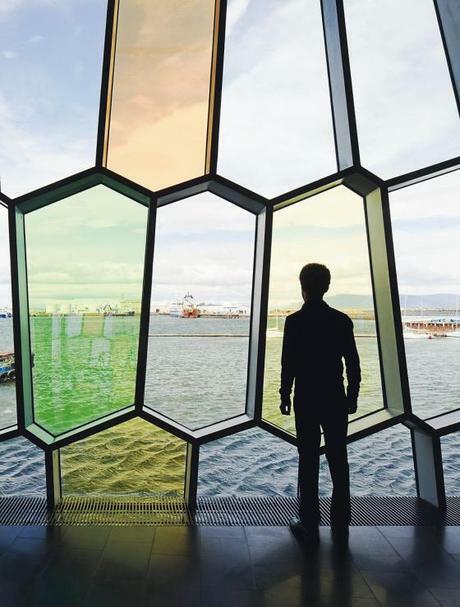 Olafur says that kaleidoscope reveal truths about reality that are too easily obscured. Playing with the fact that what we see can easily by reconfigured. Kaleidoscopes shake up what we think we see. It is a common thinking tool to shake things around by introducing something random – a random word, picture, smell, sound or taste. But a kaleidoscope also frames what you are seeing or thinking about. Look at the picture below and you see that whenever the person changes frame the view of the world changes. Afterwards the viewer has a richer and more colourful perception of the world. Attention is a key part of thinking clearly and productively, and framing your direction of thinking and method is a common concept in de Bono’sapproach to thinking. This approach to thinking highlights the importance of directing the attention to different aspects in a conscious and meticulous manner. Yet little attention is focused on how to put different aspects together. Much attention in research and thinking is devoted to getting the smaller aspects right. Yet seeing the big picture is vital. Integrating aspects and imagining how pieces can be put together to form a new picture or story. A story writer, uses frames to write a story – the hero embarks on an adventure to solve a problem, faces some challenges and then returns with new insights and solutions. Yet it is the way a story writer puts the ideas in each box together that determines if the story is going to capture our attention. So now you have to practice to see reality with a kaleidoscopic vision without a kaleidoscope. You can imagine that you are flying over the kaleidoscopic image and you try to rearrange the factors and images.